In this white paper a series of shortcomings and limitations (e.g. no bleed), workflow problems (e.g. fonts) and desirable functionality (e.g. color separations) which at that time were the reasons that PDF could not be used as universal data format for all prepress data. The white paper did not only mention the current situation but also described the goals. We got a lot of positive feedback from the industry and some vendors were encouraged to develop solutions for the topics mentioned in the white paper. 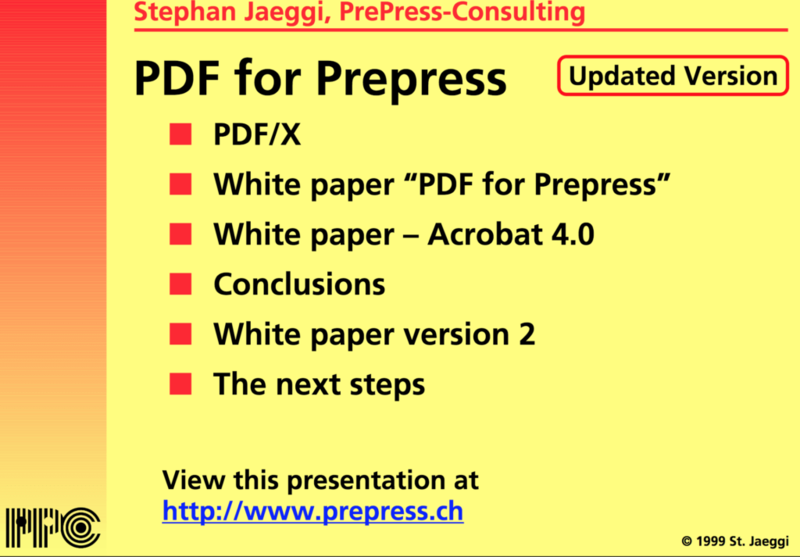 PDF 1.3 and Acrobat 4.0 as well as some plug-ins from third parties (Lantana CrackerJack, Callas pdfOutput Pro, Quite A Box of Tricks) solved many of the issues. Our white paper has contributed substantially that PDF could be used as universal data format for all digital prepress data. 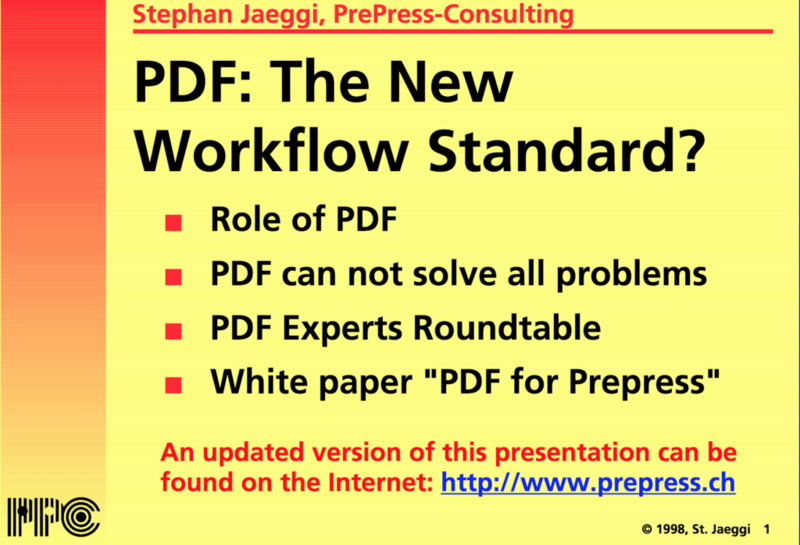 Eventually this allowed the development of the PDF/X standards by the ISO.